December 25, 1934 – What a Christmas for Chicago – peace on earth, good will toward men, and, courtesy of the Chicago Park District, bathroom facilities at Oak Street. Lake Shore Drive residents approve the plan to construct subway comfort stations beneath Lake Shore Drive and resident Frank G. Logan says, “We believe that this construction will provide a solution of both congestion and sa. The abovenitation problems at Oak Street.” [Chicago Daily Tribune, December 26, 1934] Seems reasonable – congestion and sanitary problems as a one-two combo seem like they should have a high priority. This is an interesting piece of real estate; in 1884 the property owners along the Lake Shore Drive, at that time a residential street, gave up their riparian rights to the commissioners of Lincoln Park and agreed to pay for part of a landfill extension, including a breakwater to protect the lakeshore (and their street). In exchange the commissioners agreed that no buildings would be constructed along the lakeshore in this area, which is probably why you see the Oak Street Bistro being assembled and disassembled each year. 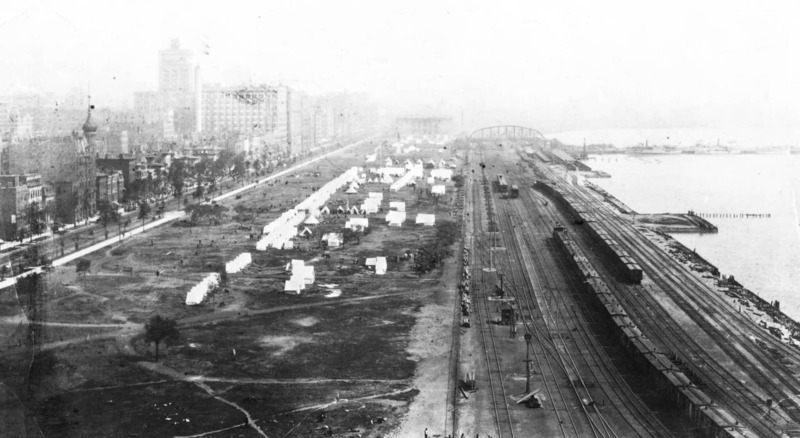 A proposal for the pedestrian subways was made in July of 1922, but it wasn’t until the fall of 1934 that the Illinois highway commission indicated it was willing to provide $100,000 for the pedestrian tunnels and comfort stations if the Chicago Park District was able to come up with an appropriate plan. With no bathhouse and as many as 55,000 people flocking to the beach area on a hot summer’s day, the facilities were clearly needed. 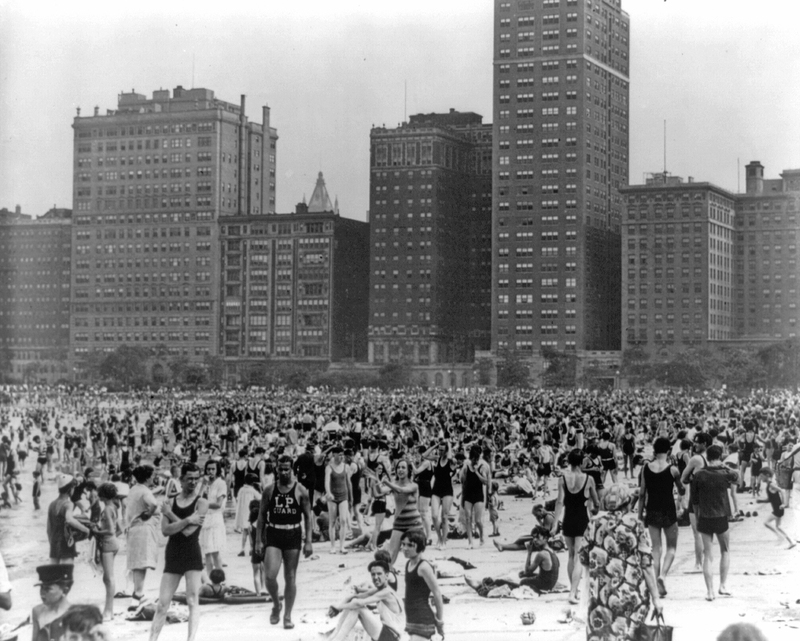 The above photo shows Oak Street beach in the summer of 1930.